All persons interested in Amateur Radio communications are eligible for membership. Applications for membership can be submitted at any regular business meeting, and must be approved by 100% of the Full and Associate members present, provided that there is a quorum present at the meeting. Full - open to all licensed Amateurs who have confirmed DXCC (100 or more countries) or have worked 100 or more grid squares on VHF/UHF, hold a General Class or higher license, and have full ARRL membership. Annual dues are required. 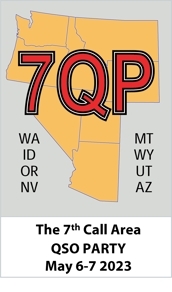 Associate - open to all licensed Amateurs who have confirmed less than 100 countries and have worked less than 100 grid squares on VHF/UHF, but hold a General Class or higher license, and have full ARRL membership. Annual dues are required. Auxiliary - open to all licensed Amateurs actively pursuing a General Class or higher license. If this goal is not achieved within two years of being admitted, the membership will be terminated. Annual dues are required. Honorary - open to those who wish to be a member of the club, are not licensed or find it impossible to attend regular meetings of the club. No dues are required. Annual dues are currently $20, with additional family members $5 each. Regular Club meetings are held on Tuesdays at 11:30am at the Black Bear Diner, at the corner of Olney Street and Third Street (Hwy 97) in Bend. It's a no-host lunch meeting held in a private room.